The songs and stories may tell you to head west for a taste of the cowboy lifestyle, but when you’re coming from Scottsdale, the direction to go is north. 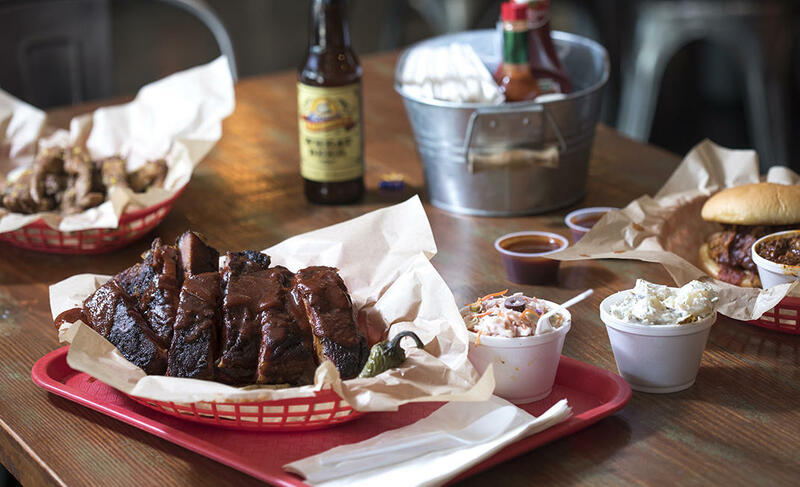 Just 40 minutes north of downtown Scottsdale, you’ll find the town of Cave Creek, a cozy community filled with honky-tonk bars, Western shops and one of the best-kept-secrets in Southwestern barbecue. 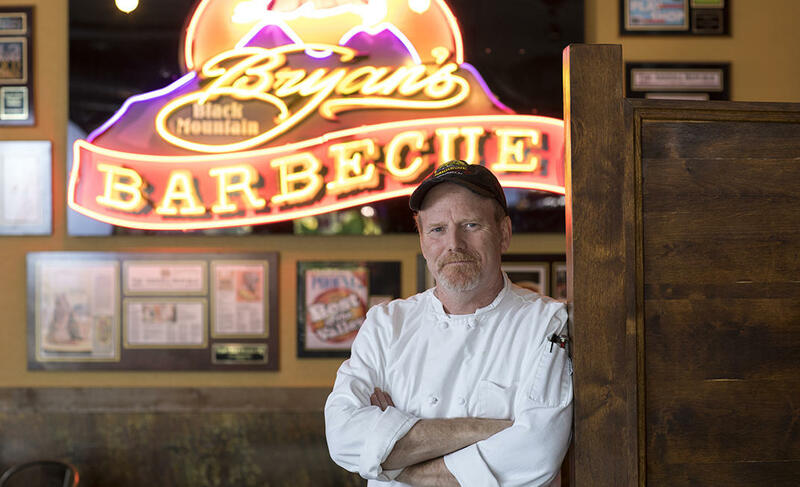 Headed by chef and owner Bryan Dooley, the award-winning Bryan’s Black Mountain BBQ is a Cave Creek gem, where slow-smoked meats benefit from the skills of a professionally trained chef. To dig into one of the best pulled pork sandwiches this side of the Mississippi while you watch real-deal cowboys saunter down the street is a singular experience—and it’s no coincidence Dooley chose this place to set up shop. Dooley graduated from the prestigious Culinary Institute of America in Hyde Park, then spent 13 years working at the Fairmont Scottsdale Princess resort before opening his own restaurant. But in spite of his fine dining background, barbecue is what Dooley loves. As a child, he spent summers at his grandparents sprawling Illinois property, where his Alabama-born grandfather instilled in him an early appreciation of Southern pit-style barbecue. You’ll see the influence of his family history in the menu, along with inspiration from Dooley’s Midwestern roots and a few touches that are all his own. Alongside the chef’s famous pulled pork, there’s slow-cooked brisket and pork ribs, all served with a vinegar-based sauce that’s a far cry from the sticky-sweet stuff with which you might be familiar. 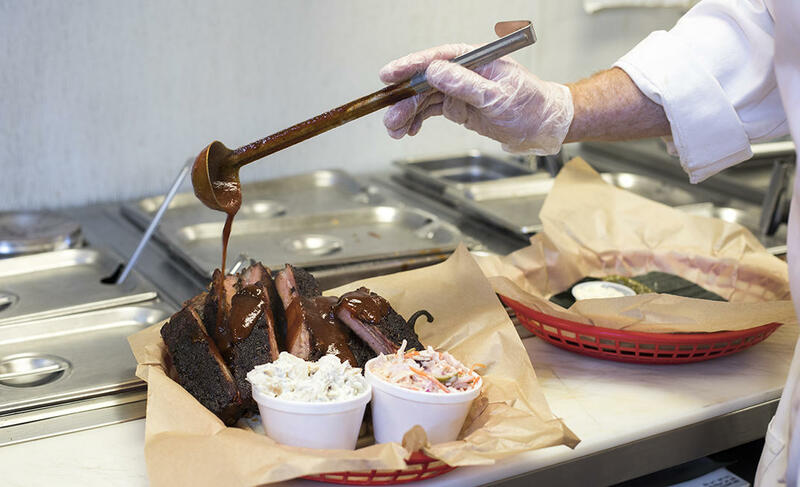 Dooley also says he tries to “mix it up around the edges,” rounding out the menu with one-of-a-kind sides like his famous coleslaw studded with sliced olives and a baked potato salad that is both creamy and rich. Perhaps most unique is the restaurant’s Friday special: mesquite flour-dusted fried frog legs, a dish Dooley says he’s loved since he was a kid. 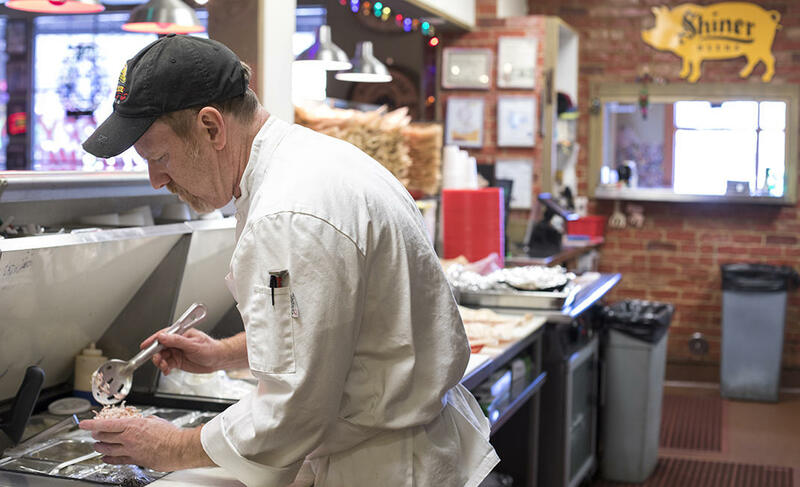 Dooley still applies the tenants of fine dining—things like attention to detail and using only the best ingredients—to everything he does at Bryan’s. Which is perhaps why diners continue to flock to the restaurant for a taste of his western-style barbecue.